Holy Family and Contemplative Outreach of Connecticut are teaming up to offer this program beginning in October 2018. Living Flame is Contemplative Formation Program structured as two, one-year experiences, Living Flame 1 and Living Flame 2. 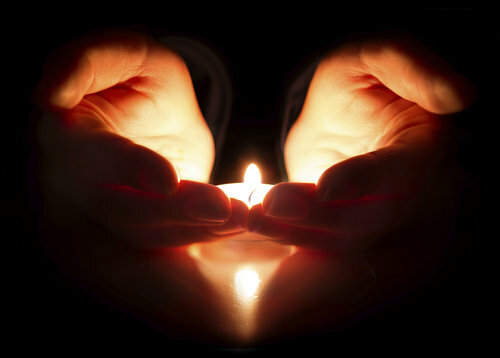 The Living Flame Program has been offered nationally by Contemplative Outreach Ltd. since 1993 and was lest held in Connecticut in 2014-2016. October 20, 2018 - Refinement of Centering Prayer with Kathy Difede - Topics covered include Exploring the sacred symbols (word, breath, glance), Active/Breath Prayer, Minute Book. November 17, 2018 - Lectio Divina with Mike Potter - Topics covered include Scholastic method, Christian prayer rooted in Scripture, Relationship. January 19, 2019 - The Human Condition with Steve Standiford - Topics covered include True self/false self, emotional programs for happiness. February 23, 2019 - Divine Therapy with Rickey Cotton -Topics covered include Understanding the Spiral Staircase, the healing process initiated by Centering Prayer. March 16, 2019 - The Dark Night of Sense with Susan Komis - Topics covered include Signs/Temptations, Mourning. May 4, 2019 - Discernment Practice with Maureen Hanley - Topics covered include Advantages/disadvantages, refining our question. Participants get the most out of the program if they can commit to attend all 7 sessions as the content builds from month to month. In addition, we highly recommend that Participants have an established Centering Prayer practice of at least 1 year. People with less than a 1 year practice should contact Contemplative Outreach of CT Chapter Coordinator, Mike Smoolca, prior to registering. Although not required, it is highly recommended for all those attending who have not done so recently to attend Introductory Workshops in Centering Prayer and Lectio Divina which are being offered regularly at Holy Family. The cost for the 7 sessions of Living Flame 1 is $425 which will include all materials, light Breakfast Snacks and a Full Lunch each day.